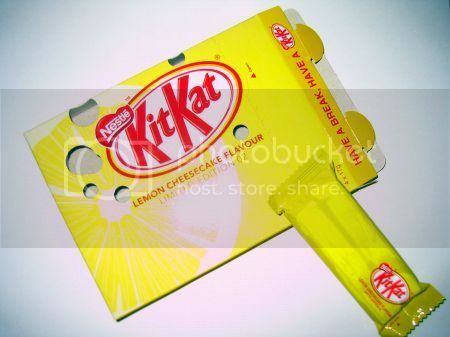 Kit Kat Lemon Cheesecake – 望み – What is that you desire? I saw this beauties in Cold Storage Supermarket. They are only available in Japan and Malaysia. I couldn’t figure out why they have it here. Import probably. The packaging states “Limited Edition 02”. I did a search and found out that Limited Edition X1 (a.k.a 01) is Cappuccino Flavoured. Nestle Kit Kat Cappuccino Flavour Limited Edition X1 is the first one in the new line of Malaysian Kit Kat limited edition series. 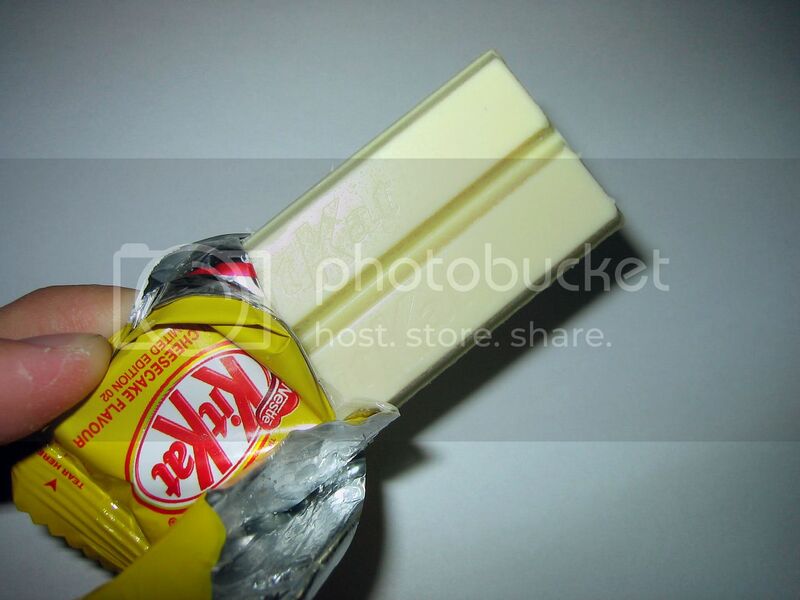 I have only seen the other one (Nestle Kit Kat Lemon Cheesecake Flavor Limited Edition 02) on the shelves and it seems that Nestle Kit Kat Cappuccino Flavor Limited Edition X1 is a Jusco (the hypermarket) exclusive. This actually tastes very good. With lemon coating and the cheesecake flavour within, it’s really crazy as to what artifical flavouring can do to your food. However, it gives a rather unpleasant aftertaste. Probably the taste of the cheese. Spot ill carry on with this writeup, I must say i think this fabulous website needs a great deal more consideration. Ill more likely be once again you just read additional, many thanks for that information. This web page is known as a walkby for all of the data you needed about this and didnt know who to ask. Glimpse right here, and youll positively discover it.